Shogun was the name given to the title for a military commander or general in ancient Japan, between the 8th and 12th centuries, leading vast armies. The word "shogun" was first used during the Heian Period from 794 to 1185. Military commanders at that time were called "Sei-i Taishogun," which can be translated roughly as "commander-in-chief of expeditions against the barbarians." The Japanese at this time was fighting to wrest land away from the Emishi people and from the Ainu, who were driven to the cold northern island of Hokkaido. The first Sei-i Taishogun was Otomo no Otomaro. The best known was Sakanoue no Tamuramaro, who subjugated the Emishi during the reign of Emperor Kanmu. Once the Emishi and the Ainu were defeated, the Heian court dropped the title. By the early 11th century, politics in Japan were getting complicated and violent once more. During the Genpei War of 1180 to 1185, the Taira and Minamoto clans fought for control of the imperial court. These early daimyos established the Kamakura shogunate from 1192 to 1333 and revived the title of Sei-i Taishogun. In 1192, Minamoto no Yoritomo gave himself that title and his descendant shoguns would rule Japan from their capital at Kamakura for nearly 150 years. Although emperors continued to exist and to hold theoretical and spiritual power over the realm, it was the shoguns who actually ruled. The imperial family was reduced to a figurehead. It is interesting to note that the "barbarians" being fought by the shogun at this point were other Yamato Japanese, rather than members of different ethnic groups. In 1338, a new family proclaimed their rule as the Ashikaga shogunate and would maintain control from the Muromachi district of Kyoto, which also served as the capital of the imperial court. The Ashikaga lost their grip on power, however, and Japan descended into the violent and lawless era known as the Sengoku or "warring states" period. Various daimyo competed to found the next shogunal dynasty. In the end, it was the Tokugawa clan under Tokugawa Ieyasu who prevailed in 1600. The Tokugawa shoguns would rule Japan until 1868 when the Meiji Restoration finally returned power to the Emperor once and for all. 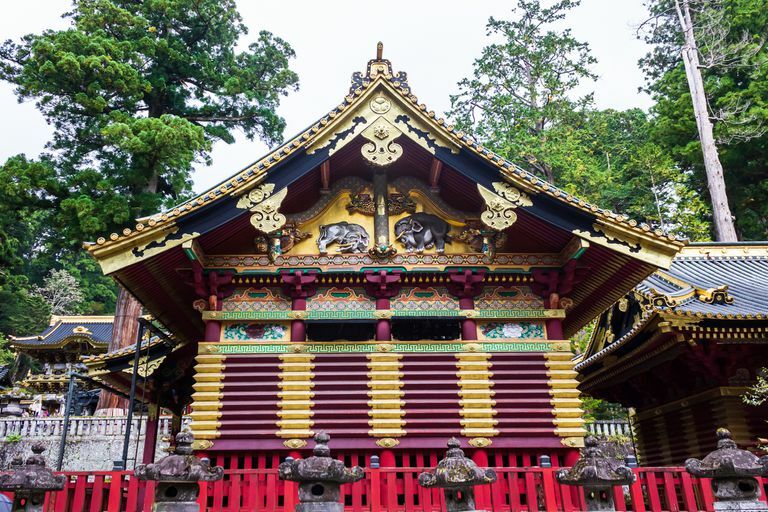 This complex political structure, in which the Emperor was considered a god and the ultimate symbol of Japan yet had almost no real power, greatly confused foreign emissaries and agents in the 19th century. For example, when Commodore Matthew Perry of the United States Navy came to Edo Bay in 1853 to force Japan to open her ports to American shipping, the letters he brought from the U.S. President were addressed to the Emperor. However, it was the shogun's court that read the letters, and it was the shogun who had to decide how to respond to these dangerous and pushy new neighbors. After a year's deliberation, the Tokugawa government decided that it had no other option than to open the gates to the foreign devils. This was a fateful decision as it led to the downfall of the entire feudal Japanese political and social structures and spelled the end of the office of the shogun.